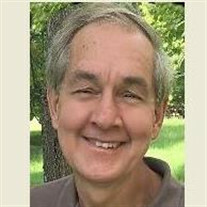 Phil Carter passed away November 24, 2018 peacefully in his dream home in Fall Branch, Tennessee after a long battle with pancreatic cancer. Phil was born to Joseph and Barbara (Volentine) Carter August 18, 1949 in Hempstead, New York. As a child of a military family, Phil spent time in various places growing up but was most fond of his time in Germany and Tennessee. His family finally settled in Hampton, VA where Phil graduated from Hampton High school June 7, 1967. He then enlisted in the Air Force the following October. He was honorably discharged in 1971 having achieved the rank of Sergeant. Upon discharge, he moved back to Hampton, VA where he attended Old Dominion University, earning a B.S. in Secondary Education in 1973 and a Master's in Secondary Education in 1976. He was an employee of Norfolk Public Schools, where he taught various Social Studies classes at Maury High School until he retired in 2007. Phil moved to Fall Branch, Tennessee in 2007 where he experienced a personal renaissance. It was at this time Phil met his best friend Michael Middleton and his wife Lisa who became a second family to him. Phil worked for Schwan's Home Delivery Services from 2007 until 2013 where he earned several awards for his work and dedication. He found his dream home during this time which Phil greatly enjoyed fixing up and adding special touches. Phil's final employment endeavor was owning his own business - Phil's Precision Painting and Home Fix-its. It was while he was living in Tennessee he was able to fully pursue interests such as photography, travel, and working on his beloved truck. He traveled to South America, Canada, Europe, and Asia, taking many pictures to document his journeys. When he was not traveling or working for himself, he was improving his dream house frequently while listening to his favorite band, The Rolling Stones, and other rock 'n roll music. When Phil, a self-described workaholic, took the time to relax, it was to catch up on his recorded tv shows, watch the films of John Wayne or Sophia Loren, and read. Phil greatly enjoyed non-fiction works, particularly biographies of celebrities. He is survived by his daughter, Elizabeth Carter. Left to honor his memory are his brother, David Carter (Lenora), sisters Nancy Oldham (Mark) and April Carter along with many nephews, nieces, and cousins. Special thanks to Michael Middleton and Lisa for taking care of Phil during his illness. If you wish to honor Phil's memory, please donate to the Pancreatic Action Network (PanCAN), www.pancan.org, or volunteer for your local hospice.